CLEVELAND, Ohio — Did you really think we’d be able to skip winter? Not a chance. Winter has returned this week, and low temperatures can lead to frozen pipes and ice dams in gutters, which can cause expensive damage to homes. You can also hurt yourself if you don’t shovel snow in a safe manner. Here are tips and ideas for the best way to deal with ice dams, prevent frozen pipes and keep your home warm. 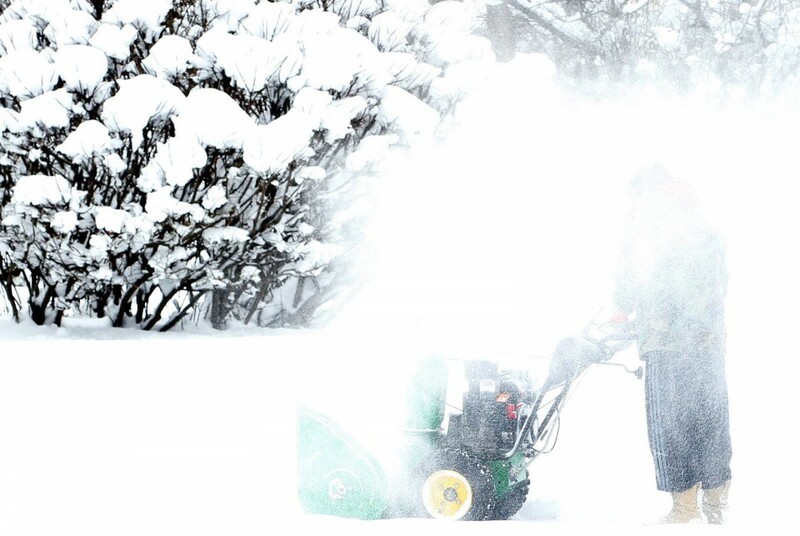 Enjoy a gallery of photos from the January snowstorm. Every winter season, the pipes in your home are at risk of damage from freezing conditions. Low temperatures can cause your water pipes to freeze and, in some cases, burst. The following tips from Allstate can help you safeguard your home before, during and after a pipe freezes. Close all windows near water pipes. If a faucet or pipe inside your house freezes, you can thaw it using a good hair dryer, according to Allstate. (For safety purposes, avoid operating a hair dryer around standing water). To thaw a frozen pipe, heat water on the stove, soak towels in the hot water and wrap them around cold sections of the pipes. When thawing a pipe, start thawing it nearest to the faucet. Make sure the faucet is turned on so that melted water can drip out. ICE DAMS: “Ice dams form when warmth from inside a home causes snow on the roof to melt and trickle to the roof’s edge, where it refreezes, blocking gutters and drains,” according to the website Home and Garden. Water that is unable to drain off the roof seeps under shingles, damaging the roof and trickling into the home’s interior. Ice dams can damage ceilings, walls and flooring. Giant icicles hanging from your home’s eaves are a sign of potential trouble. The website Home Partners has an article about dealing with existing ice dams, preventing them in the future and curing the underlying problems that cause ice dams in the first place. Remove the ice dam by breaking it free in small chucks. Do not use an ax or other sharp tools. You’ll cut through the shingles. Instead, tap lightly with a blunt mallet. This is slow, dangerous work, so hire someone experienced at roofing. Even if you do it safely, the chunks of ice can take pieces of shingle with them. Clear out gutters and downspouts. Again, this is ladder work and an easy way to damage either plastic or metal gutters and spouts. A good trough-maker is a tube of cloth (a leg from an old pair of pantyhose works well). Fill it with calcium chloride, tie off the top, and lay it vertically across the ice dam. It will slowly melt its way down through the dam, clearing a path for the underlying water to flow free.